Anyone can start a blog, but not anyone can start a blog other people want to read. In the throes of self-pity, you might be tempted to believe it’s because of the fickleness of human nature, a lack of influential connections, or perhaps the realization of how difficult building an engaged audience actually is. And you would be partially correct. All those factors do play a part. But what if I told you the primary cause of failure for bloggers is actually their choice of what to blog about? Not their connections, not their persistence, not their understanding of how blogging actually works, but the accidental, unfortunate decision to write about the wrong blog topics. You might be skeptical, and rightfully so. The good news is, I’m about to prove that assertion to you right now. Even better, I’ll show you how to uncover exactly what to blog about, increasing your chances of success 100X. Over the years, my team and I have mentored 13,360 bloggers in every imaginable niche, language, and style. Everyone from meteoric success stories like Laurel Bern to thousands of students who have struggled to break through the noise. And we’ve noticed some patterns. Some very interesting patterns. Data from students shows us that some blog topics get traffic quite easily while others are nearly impossible. For instance, you can blog about square-shaped tomatoes with as much vigor and persistence as you like, and you’re never going to take off, because… nobody cares. In fact, the range of blog topics where you can expect to both get substantial traffic and monetize is relatively narrow. Some blog topics that seem plausible from the outset, such as freelancing, actually don’t have a prayer of success. In other words, your choice of what to blog about is critical. If you make the wrong decision, you can execute every traffic and monetization technique flawlessly, and none of it will work, because having the right blog topic is critical. Is anyone in your niche getting significant traffic? If not, what makes you think you can be the first? For some reason, people are happy to invest hundreds or even thousands of hours into publishing content without stopping to consider if anyone else has ever been successful. Worse, they believe that competition is bad. They take pride in being the first person to write about a topic and believe that’s an opportunity. It makes me want to cry. Not only is that perspective flat-out wrong, it’s tragic because it leads you to invest time into projects that never had a prayer of success. So, how can you tell if a niche is popular or not? The easiest way is to reference a research library like the one we have in Freedom Machine. It does all the heavy lifting for you by giving you a list of successful blogs, their most popular posts, and examples of how they monetize. But let’s say you don’t have that. What can you do? Let’s say you’re blogging about how to trade stocks. Does that put you in the “stock trading” niche, the “investing” niche, or something else? My advice: go to the broadest category that makes sense. In the case of trading stocks, that would actually be the “personal finance” niche, assuming you’re targeting people who want to trade stocks for themselves (more discussion about this later). From there, you just need to dig a little deeper and find out how popular those blogs really are. 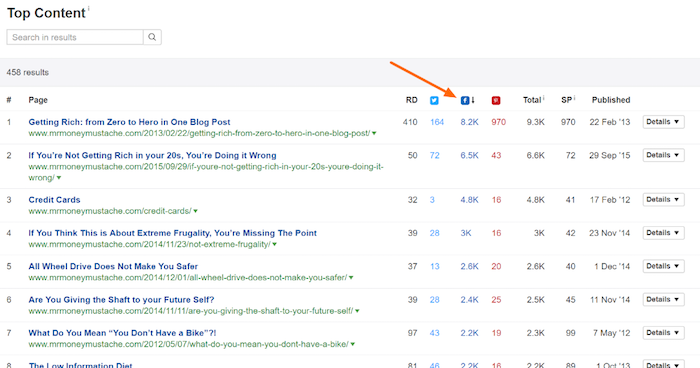 One of my favorite things about Ahrefs (affiliate link) is it gives you both social and search data. Let’s go through an example, and you’ll see what I mean. And that’s just a sample. In the left sidebar, there are lots of additional reports where you can go even deeper. There’s all the content on the site, sorted by total shares. 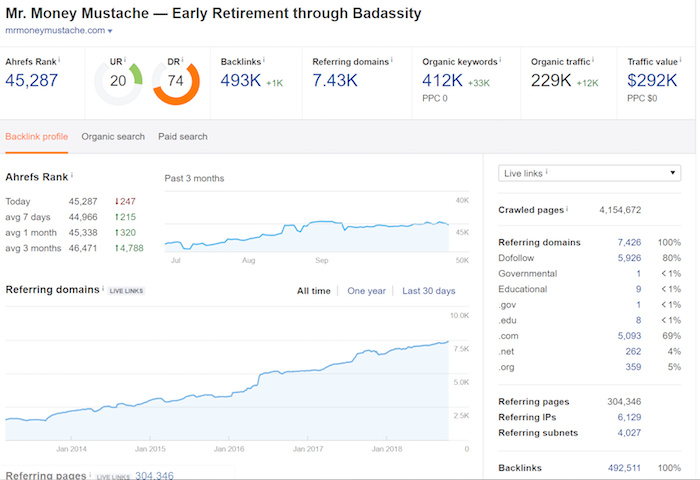 As you can see, the top 10 posts all crossed 2,000 shares, so it looks like Mr. Money Mustache is doing well from a social traffic perspective. Personally, I like to see at least five sites within the same niche with at least five posts above 1,000 shares. That’s usually enough to start guessing what readers in the space want to read more about. More on this later. What’s your end goal for building a blog? I’m guessing it’s not just to get a bunch of traffic and feel good about yourself. You want to turn that traffic into money somehow, right? Well, some niches are dramatically easier to monetize than others. You can get a lot of traffic writing about the daily activities of celebrities, for example, but that doesn’t mean you’ll make money blogging about it. Some niches can only be monetized through advertising. A good example is the news. Every time you read an article on a news site, they get paid a few cents for an “impression.” That’s how they survive. If you do the math though, it takes a lot of traffic to start earning enough from advertising to quit your job or do anything meaningful. Like… hundreds of thousands of visitors per month. For that reason, when my team evaluates popular niches, we also look at how the blogs are monetizing. Ideally, we want to see people selling some type of products and services because those genuinely have the highest ROI on blogs. 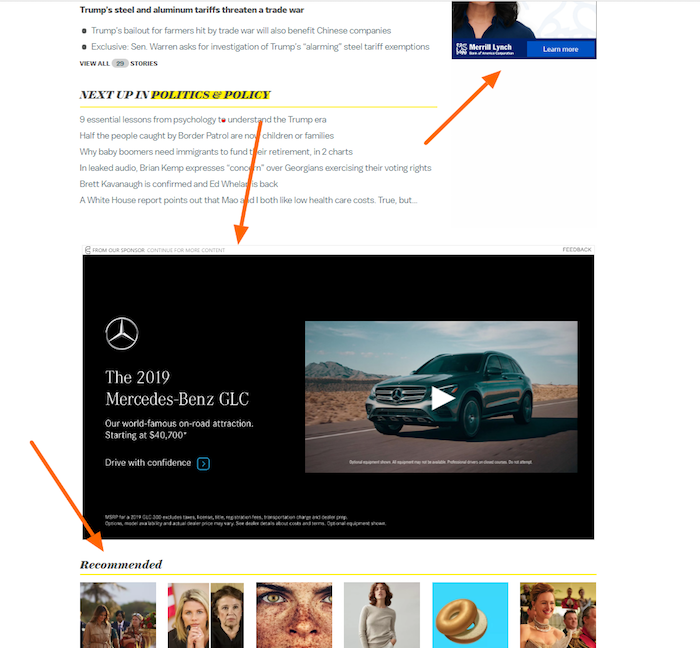 If all we find are popular sites stuffed with ads, it’s a bad sign. Popularity is good, but it’s not enough. When you’re doing research, also pay attention to how blogs in the space are monetizing. When you’re researching a niche, you’ll notice blogs seem to focus on different types of readers. 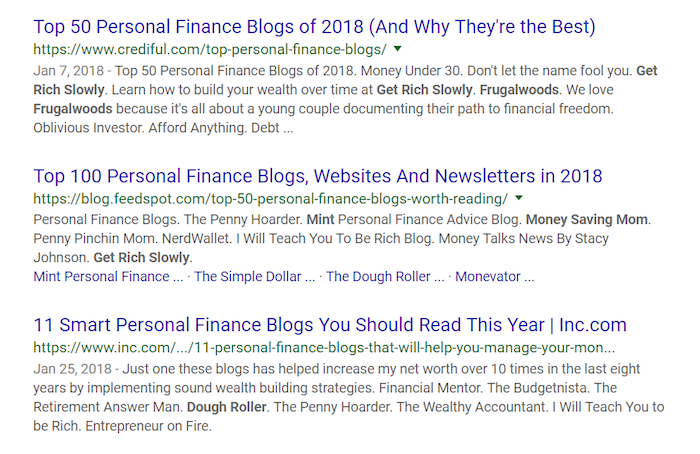 In the personal finance niche, for example, blogs like Get Rich Slowly and The Simple Dollar focus on fundamentals like secure investments, living frugally, and so on. At the same time, there are other blogs like I Will Teach You to Be Rich and Mr. Money Mustache that focus much more on how to increase your income and improve your lifestyle. A tribe is a group of people who congregate online around common interests. In the personal finance space, the two biggest groups are “save and invest” people and “increase your income” people. Neither tribe is right, but they don’t really mix well with one another. You won’t find a blog focusing equally on both tribes. Earlier, we talked about identifying at least five blogs with more than 1,000 shares on at least a few posts. Now let’s go back and figure out which tribe they are talking to. Mr. Money Mustache is clearly positioning himself for getting rich and against extreme frugality in some of his most popular posts. In other words, he’s speaking primarily to the “increase your income” people. Skim through their popular posts for patterns. Read at least a few of them to get a better idea of their philosophy. Based on what you’ve learned, assign the tribe a name. Based on your own approach and philosophy, which tribe would be most excited to have you as their leader? Which tribe do you feel like you could help grow and achieve their objectives? In other words, you’re looking for an existing blog and tribe to serve as a model for what you want to build. It’s already built a following, so it’s clearly viable, and you feel like you could also contribute in a meaningful way. 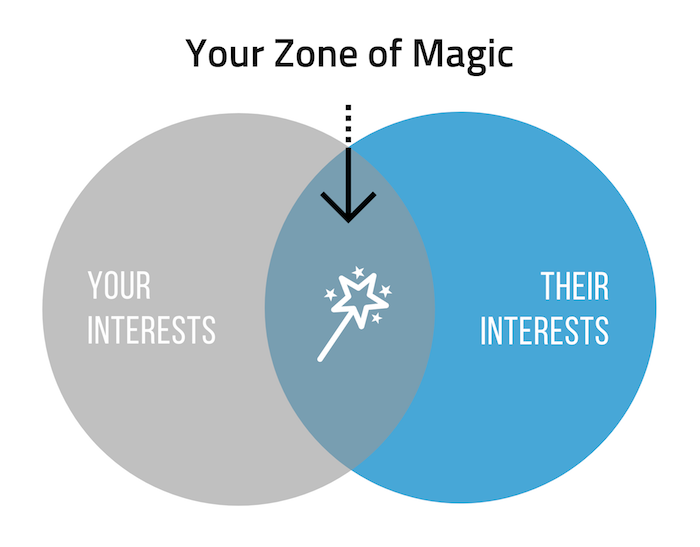 That’s what I call the Zone of Magic. Ideally, it’s where you spend all your time. 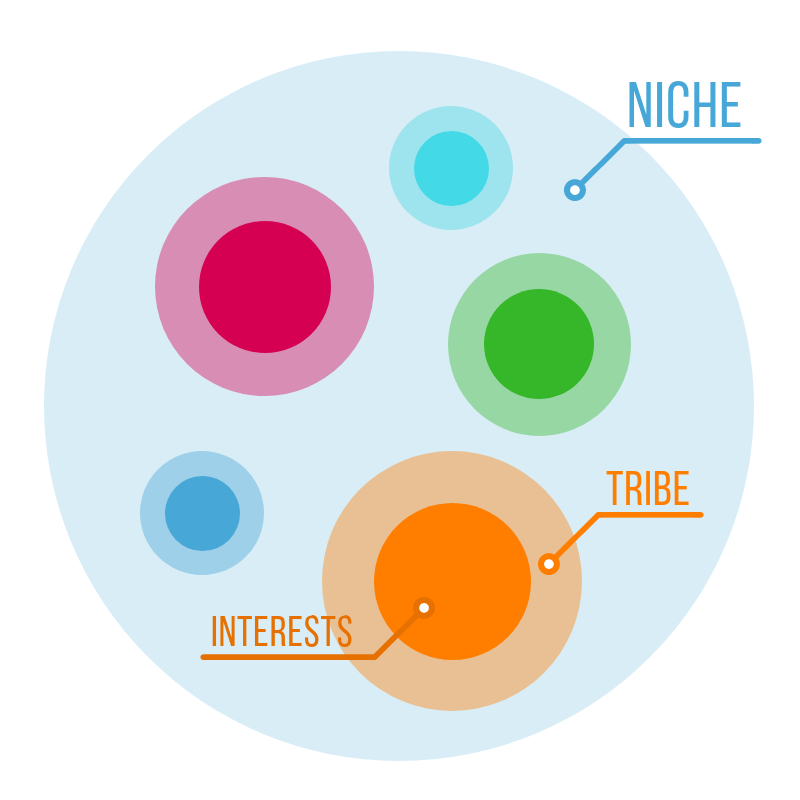 What if you’re not a good match for any of the existing tribes in your niche? If there’s not an existing tribe who’s clearly interested in the same things you are, and you start a blog anyway, you’re essentially telling people they are wrong and need to change the way they think. In general, people don’t respond well to this. Not only will they refuse to share your posts or buy your products, but they might send you some hate mail as well. The better, safer, and ultimately much more rewarding approach? Go back to the drawing board and find a tribe whose interests align with yours. Instead of fighting them, just figure out where they want to go and show them how to get there. Which would you rather write about: topics you think your readers might like, or ones you know will get traffic, because you have proof of those topics being popular in the past? Obviously, it’s better to have the proof, right? You might as well invest your time where you have the best chances of success. In this section, I’ll show you how to uncover those proven interests, as well as put your own spin on them. Let’s jump in. In general, the highest-quality shares are the ones from Facebook, so I tend to sort posts that way instead of by overall shares. Save these for later by running a custom export of the first 20 rows and saving it to your computer. 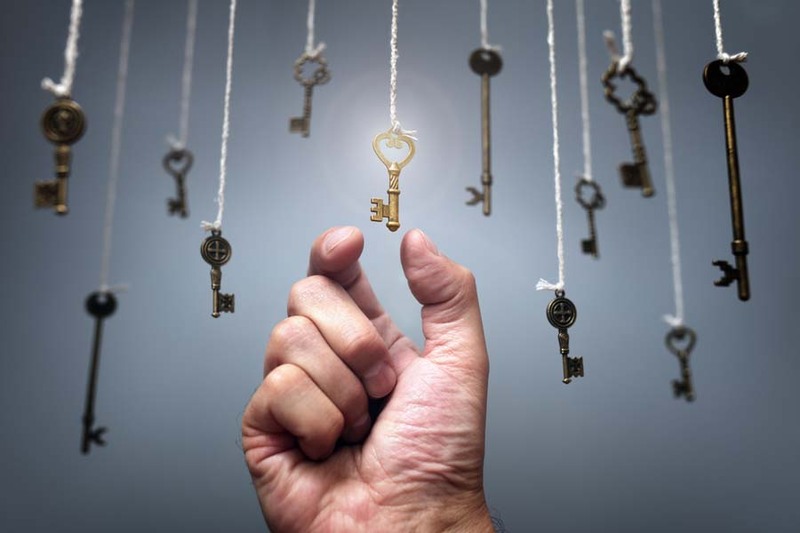 The next step is to dig into the keywords driving the most search engine traffic. You can find those by clicking on “Organic keywords” in the left sidebar. The default sorting by traffic is fine, but if you’re a beginning blogger, I would recommend eliminating all keywords with a keyword difficulty (KD) over 40. Again, do a custom export of the first 20 rows and save it to your computer. You should go through the same process for all the most popular sites serving your tribe. By the time you’re finished, you’ll have a list of dozens or maybe hundreds of posts proven to be popular with your audience. How do you use that information without sounding like a copycat? You didn’t get into this to regurgitate the ideas of other writers. You want to publish content that’s uniquely you. Copy the topic, not the advice. For instance, one of Mr. Money Mustache’s most popular posts is Getting Rich: From Zero to Hero in One Blog Post. The topic is getting rich, and the advice is to live simply and frugally on half of what you make. If I were to write a post on the same topic, I would talk about getting a remote job where you can live in a cheaper country like Mexico but continue making US dollars. In other words, I would give completely different advice on the same topic, and I would interweave my own story of moving to Mexico into it. I’d also choose a different headline like, “How I Became a Millionaire from My Wheelchair.” Again, it’s the same topic, but an entirely unique headline. No one would accuse me of being a copycat. You can follow the same approach with the most popular topics in your space. Scan through the list of posts you exported from Ahrefs (affiliate link) and choose the ones where you can write about the same topic but give your own unique advice. Okay, you’re almost ready to write your post. Finally! What made the post you studied on the topic popular? What can you do to create an even better post? It’s like the old saying, “Stand on the shoulders of giants.” When you find a popular posts model, you always want to know why it worked, and you want a good idea of how to improve upon it. Detail: make your post more detailed (or comprehensive). Design: include an infographic or organize your points in a more useful way. Data: include unique stats or examples to back up your points. Drama: amp up the emotion by infusing your post with personality and stories. Distinctions: give advice based on your unique perspective as an expert. For instance, the Getting Rich post on Mr. Money Mustache is pretty short and lacks a lot of detail, so if I wanted to compete, I would probably write a much more comprehensive manual for getting rich, clocking in at 3000+ words. I might also add in my personal story, giving it extra drama. Your goal is to write the best post ever published on a proven, familiar topic. Hell no. Usually, it’s a lot of work. But this is how you win. You stop writing about whatever you want and limit yourself to proven topics. You create content so much better than theirs, that it makes them want to call their mommy. 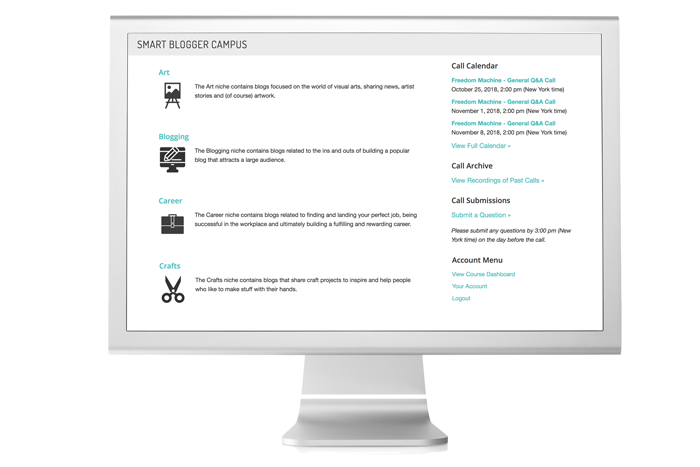 About the Author: Jon Morrow is the CEO of Smart Blogger. Check out his new blog Unstoppable and read the launch post that went viral: 7 Life Lessons from a Guy Who Can’t Move Anything but His Face. 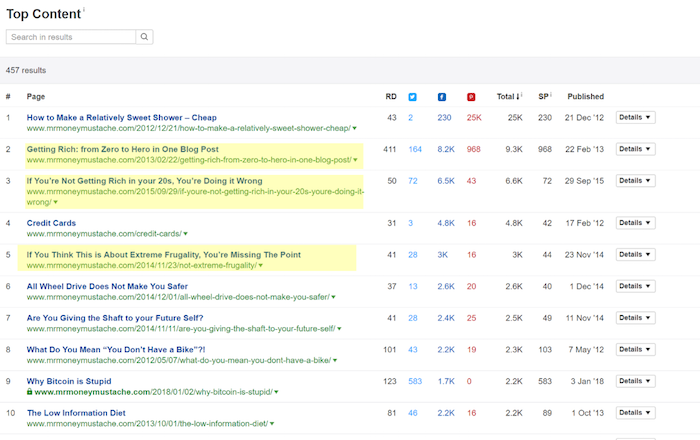 The post What to Blog About: The Data-Driven Guide to Choosing Blog Topics appeared first on Smart Blogger. « 2019 Is the Year of Page Speed. Are You Ready?